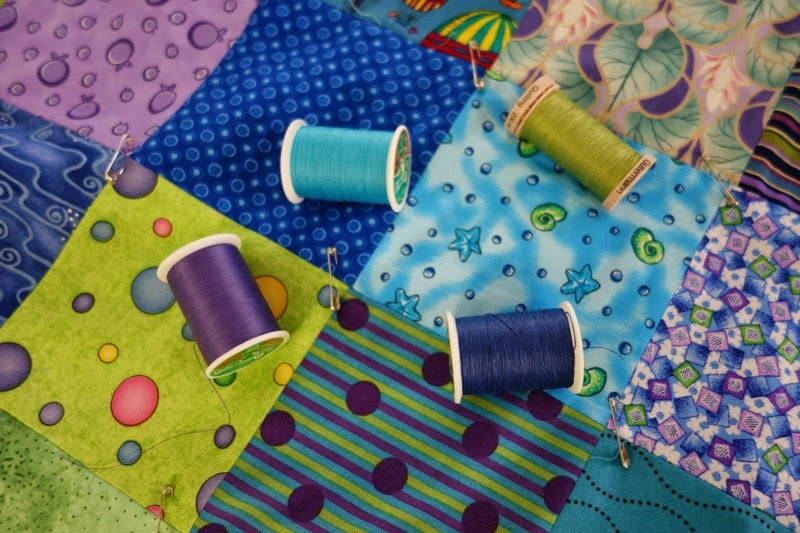 Sew........This Is My Blog: June Goal Accomplished, and Then Some! June Goal Accomplished, and Then Some! I decided to make it easy on myself when I set my June goal (Goal #18 at Fiber of All Sorts) since I haven't accomplished much so far this year. Not only did I accomplish my goal of getting a baby quilt top put together, but I put two tops together AND finished both quilts! Two things helped motivate me -- going to a retreat, and the fact that both babies had already been born. ......then surrounded it with more squares. I had bought some great backing fabric at Hancock's of Paducah with help from my friend Shirley. 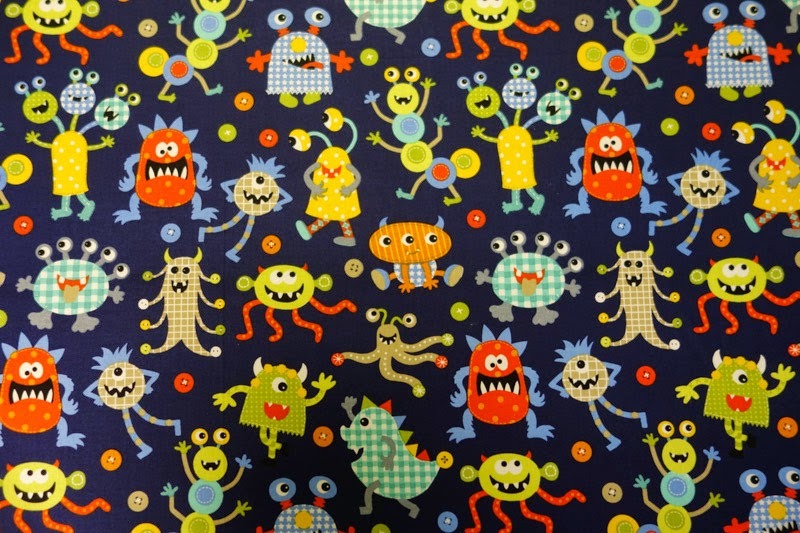 I just love this Michael Miller fabric, "Monster Mash". Can you see the little baby monster? Too cute! 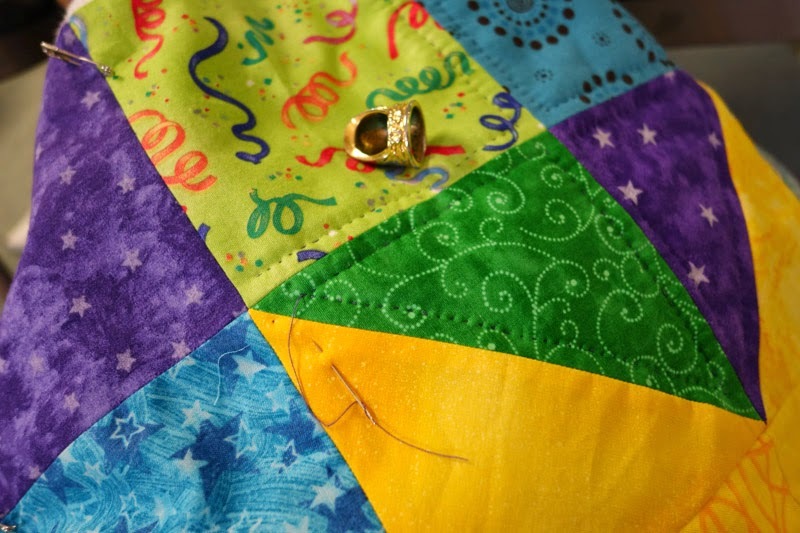 I got both quilts hand-quilted in 10 days, so I am now suffering from a flare-up of tendonitis, but it was well worth it. 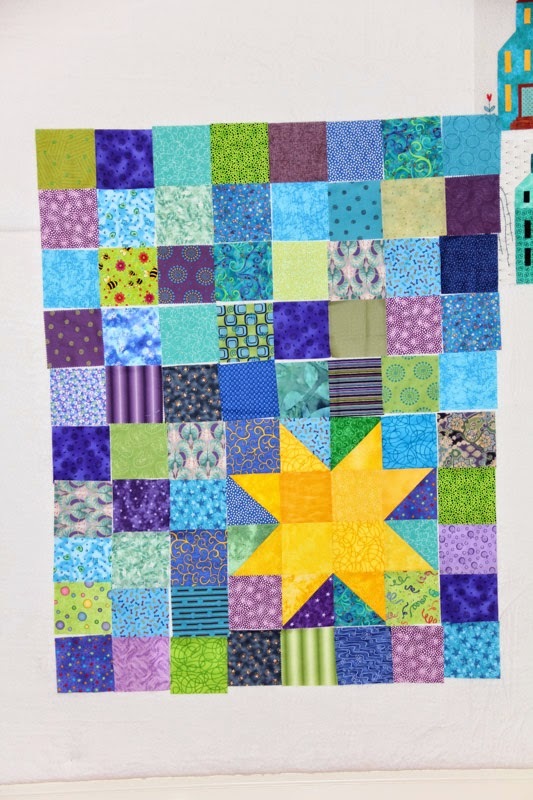 I just love these quilts. The quilts are on their way to their new owners, baby Grant and baby Seth. Now I am wondering if I can get the next baby quilts (for twins due in the fall) actually finished before the babies are born. What a concept, huh? 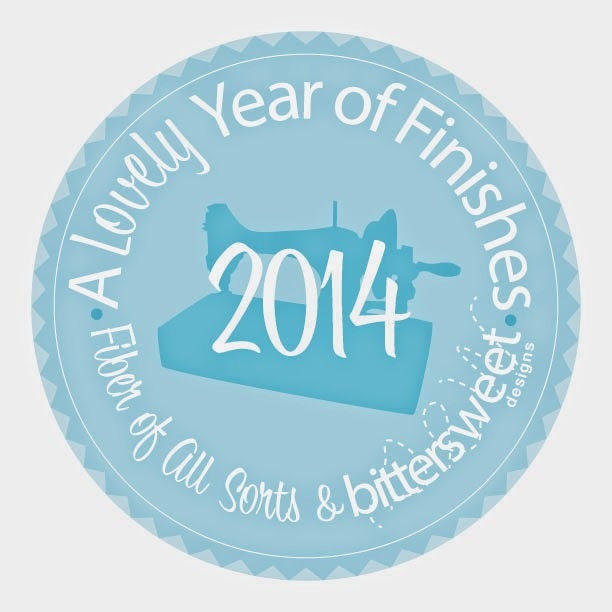 Since I completed my goal I am linking up with A Lovely Year of Finishes. Congrats on a double-finish! 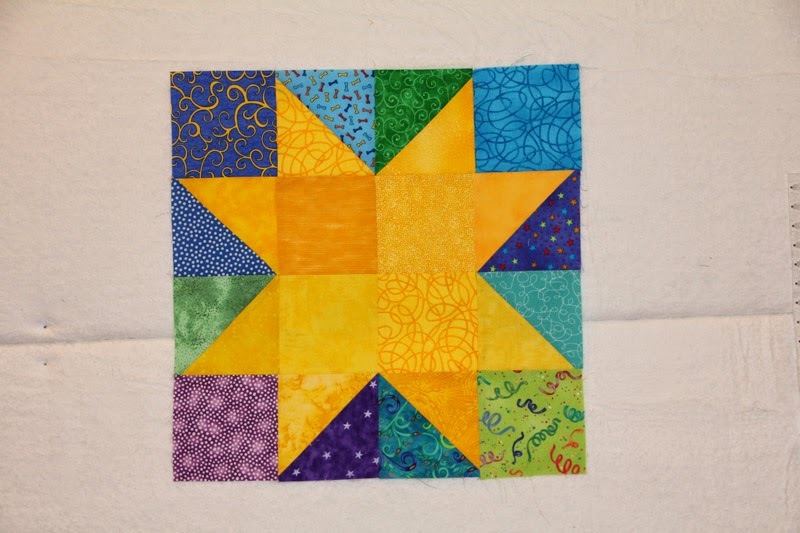 Cute quilts! Do you know the gender of the twins coming? 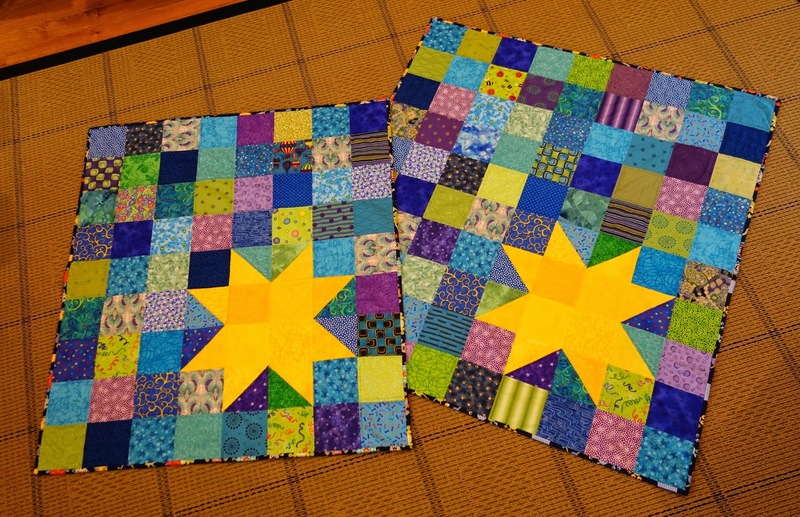 Of course you can get the next 2 quilts finished in time for the twins! Love the monster fabric. They turned out great Sandy and I think any color of thread would have worked out great. That was some super fast hand quilting. Beautiful quilts, and that monster fabric is too cute. You were really on a roll in June. Those baby quilts turned out so cute and I was amazed that you finished quilting both of them so quickly. You will have no trouble for the fall twins quilts. June Goal for "A Lovely Year of Finishes"